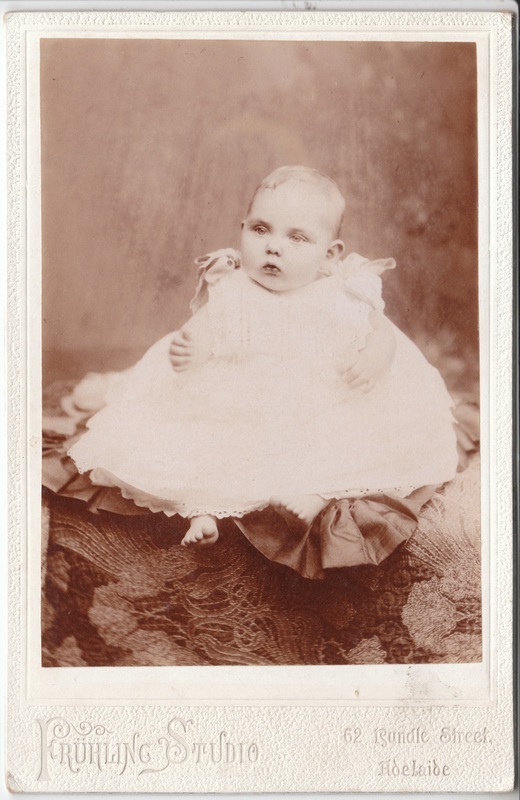 Photo "Garrison, Goole, Sydney Studio". 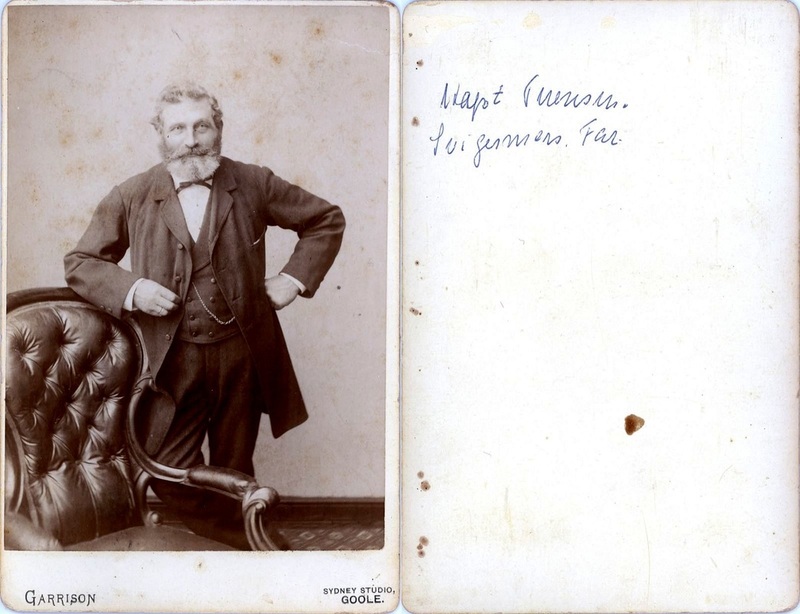 Kaptajn P. Thuesen. Tilhører Nexø Museum. 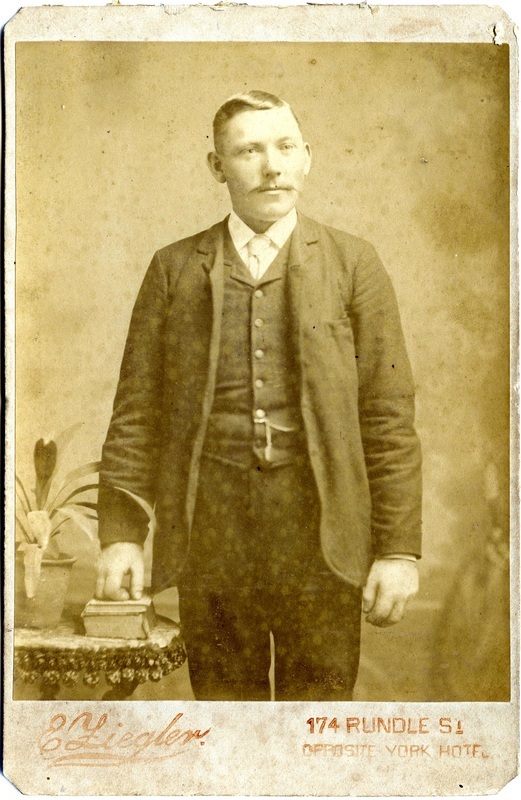 Jeg har fået oplyst: Under South Australia, you list a cabinet photo by Garrison, Sydney Studio, Goole. That is not a town in Australia. The photographer is Francis John Garrison and he was in Yorkshire, England. Ukendt ung mand - bornholmer, formentlig, udvandret til Adelaide i Sydaustralien. Billedet menes at være fra Hasle-kanten. Fotograf: E. Ziegler, 174 Rundle St. Oposite York Hotel. Kabinetfoto, blank bagside. (Efterfølgere: Photographer Bijou Studio 174 (A) Rundle St Adelaide opposite York Hotel og YORK PHOTO STUDIO. (The proprietor, David Andrew, operated this studio at 174A Rundle Street, Adelaide, in 1902. It appears to have had a very short life.)) ES. Australia. Frühling Studio, Adelaide, Sydaustralien. Ukendt barn. Adelaide, South Australia. ES.